Folliculitis is an inflammation of the hair follicle that often results from trauma or infection. Folliculitis can occur anywhere on the body where there are hair follicles. They are often red or white papules or pustules that can burst and drain. Most cases of folliculitis resolve with supportive care and good hygiene, but in non-resolving cases, topical antibiotics and rarely oral antibiotics may be required. University of Iowa Hospitals and Clinics. “Vulvar Skin Care Guidelines”. 2016. 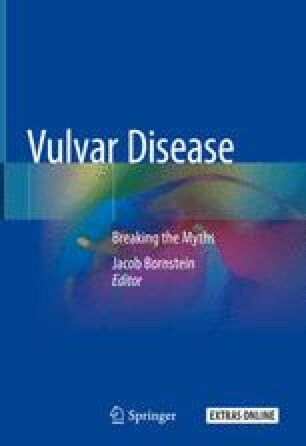 Accessed at: https://uihc.org/health-library/vulvar-skin-care-guidelines.